I love fanfiction. I’d call it my guilty pleasure but it’s not really guilty at all.It is however a huge part of the reason why I spend entirely too much time online. As I wrote in my A is for Author post I’ve written fanfiction since before I knew there was such a thing. It’s a long time since I written any fanfiction but it’s one of my goals to do so this year. Although the idea that I have is so wildly different from the show (NCIS) it would be based on that I’d have to do little more than change the names and city where it’s set and I’d have an original work. Which might be 100 times more sensible. 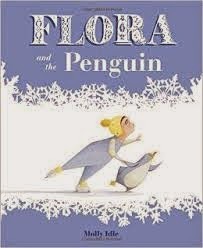 Twirling, leaping, and gliding on skates and flippers, Flora and Penguin mirror each other in an exuberant ice dance. But when Flora gives the penguin the cold shoulder, the pair must figure out a way to work together for uplifting results. Why waste 5+ hours of your time completing a task when you could pay someone $5 to do it for you? Not everything that you can do, you should do. Am I right? Delegate, delegate, delegate!